The Medicare “doughnut hole” will be closed - the approximately 4 million Medicare beneficiaries who hit the so-called “doughnut hole” in the program’s drug plan will get a $250 rebate this year. No more co-pays for preventative screenings – to encourage earlier detection of health issues and treat them at a lower cost. Extending the life of the Medicare Trust Fund - Health insurance reform will extend the life of the Medicare Trust Fund by an additional four to five years – and delivery system reforms included in health insurance reform have the potential to keep the Trust Fund solvent even longer into the future. The Physician Payments Sunshine Act – requires disclosure of payments and gifts provided to doctors from pharmaceutical, biologic, and medical device companies. This law aims to reduce medical costs for consumers by preventing conflicts of interest created by such financial incentives. Medicare Payment Improvement Act of 2009 – health care providers will be compensated for their services based on the quality, not the quantity, of care they provide. States that achieve higher quality-to-cost ratios will receive an increased reimbursement from Medicare. The Nursing Home Transparency and Improvement Act – consumers will have more access to information regarding nursing homes’ historical record of care. This increased level of transparency is meant to encourage nursing homes to maintain the highest quality of care by their own initiative. The Patient Safety and Abuse Prevention Act – prevents individuals with violent or criminal histories from working at organizations that provide care to senior citizens. This will be accomplished through a new system of nationwide background checks. Retooling the Healthcare Workforce for an Aging America Act of 2009 - expands, trains, and supports all sectors of the health care workforce to care for the growing population of older individuals in the United States. The Home and Community Balanced Incentives Act – provides states with financials support and incentives to encourage restructuring of Medicaid programs to allow for more individuals to receive home and community-based services (HCBS). On Sunday, the Senate version of the health care reform bill passed in December comes up for a vote in the House of Representatives. Many journalists, political analysts, and politicians believe that the outcome of Sunday’s vote will either make or break the Obama presidency. If the bill fails news outlets from NPR, CNN, Fox News and others are reporting that President Obama, as well as the entire Democratic Party, will be significantly weakened. If one needed validation of what is at stake, President Obama has delayed a trip to Asia in order to rally those in the Democratic Party who are still undecided or still opposed to the health care reform bill. With the Obama Administration tying the health care reform bill so closely to his party, Democrats in opposition may have no choice but to vote yes or else see their overall influence and reputation greatly diminished with a failed bill despite a large majority. According to Mara Liasson at NPR, President Obama is also telling Democrats in opposition to health reform that despite their no vote, Republicans will still tie them to a failed bill and the Democratic base will exile them. With such political arm-twisting, it will be interesting to see which Democrats have the gall to remain in opposition. The health reform saga continues in Washington with a new, comprise proposal currently being assessed. For those of you who may not be aware, late last month President Obama unveiled a new $950 billion health care reform proposal that he and fellow Democrats believe to be a compromise, including several Republican solutions. Obama said the plan will be fully paid for and will reduce the deficit over 10 years by $100 billion. Tax high-cost medical plans: “Cadillac” plans will be taxed, but of course the insurance companies will most likely pass these costs along to their customers. Increase Medicare tax on the rich: Individuals making $200,000 ($250,000 for joint filers) will see a .9% increase in their Medicare tax to 2.35%. Obama would also add a new 2.9% Medicare tax on these individuals’ investment income. Require employers to pay if they don’t provide coverage: Employers who don’t offer an affordable plan will be charged $3,000 per full-time worker, while employers who don’t offer insurance at all will be charged $2,000 per full-time worker. This only applies to employers that have 50 or more employees. New fees for health industry: New fees would be imposed on drug makers, medical device manufacturers, and insurance companies. Also, there will be a limit on compensation paid by health insurance companies. Cut various health tax-breaks: An additional 10% penalty would be imposed for non-health related withdrawals from health savings accounts. A $2,500 limit would be imposed on flexible health spending accounts through employers. Also, the amount of medical expenses necessary to qualify for a federal tax deduction would be increased. If you haven't heard by now, Gerber Life Insurance Company will soon release its blockbuster Medicare supplement in the following states: Alabama, Arizona, Louisiana, Ohio, Oklahoma, Oregon, Texas, Virginia, Washington, and West Virginia. For more information contact us. Fox Insurance Company of New York is no longer a part of the Medicare prescription drug program. The Centers for Medicare & Medicaid Services explained its decision to kick out the company stating Fox did not meet Medicare’s requirements to provide enrollees with prescription drugs according to recognized standards of care, and also jeopardized the health and safety of Fox enrollees in the 21 states where it operates. Fox enrollees can obtain their drugs through LI-NET starting on March 17. They will also be able to choose a new Part D plan through May 1, 2010. After the date, Medicare will automatically enroll them into a new plan. Click Here to request the most up to date information. Over the next few weeks, we will be receiving rate information for Medicare Supplement Plans M and N from our carriers. Of the two new plans, Plan N is shaping up to be one of the most attractive and popular insurance products on the market. As many of you know, one of the biggest reasons seniors don’t or can’t get a Medicare Supplement is due to cost. Plan N has been designed to be a cost-effective solution that competes directly with Medicare Advantage plans. We believe many cost-conscious seniors will gravitate towards Plan N, as it offers the stability and standardization of a Medicare Supplement at a price point that is 25%-35% cheaper than the comprehensive and popular Plan F. Thus, Plan N is a perfect alternative to Medicare Advantage because it allows you to increase your customer base and further elevate your income stream. This incredible combination of lower price and higher accessibility is going to make Plan N the choice for most seniors in 2010, especially those who are healthy and don’t often need medical care. The primary reason why Plan N is more affordable is because it requires clients to share the cost of their treatment, much like a Medicare Advantage plan. Unlike a Med Advantage plan however, Plan N has no network restrictions and much lower out-of-pocket liabilities to the client. 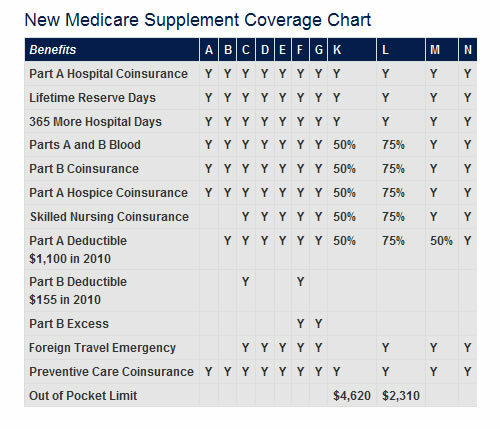 Plan N is different from what is traditionally expected from a Medicare Supplement plan, these new benefit changes now make Medicare Supplements much more accessible to lower income seniors and more attractive to those who are healthy and wouldn’t otherwise see the need for one. Though Plan F is currently the most popular Med Supp plan because it offers the most comprehensive coverage for the money, we think Plan N represents the future of Medicare. Medicare can’t continue to shoulder the entire cost burden of rising medical costs and a huge boom in the senior population over the next decade. If there is still going to be a Medicare in the future, CMS is most likely going to structure future plans so that seniors are going to have to share in financing their healthcare.